Marian Breeze is Director of Business Development for Archive360, the world's leading provider of data migration and management solutions. In 2016, Archive360 launched Archive2Azure, the industry's first regulatory compliance storage solution optimized for the Microsoft Azure platform. Breeze works with channel partners on projects ranging from SMB to enterprise-level data migrations, and has facilitated some of the largest email archive migration initiatives in the US, Canada, and APAC regions. 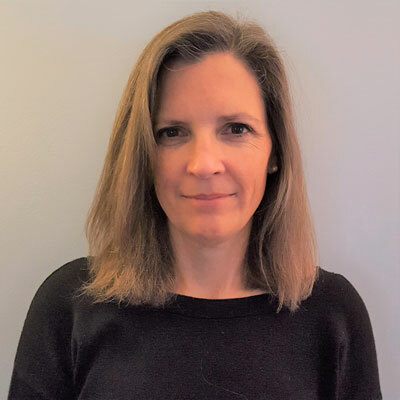 She serves on the Advisory Task Force for Voices for Innovation, a Microsoft-sponsored organization, and in March 2016 was asked to lead the Connecticut state chapter of the International Association of Microsoft Channel Partners. Prior to joining Archive360 she ran a consulting practice; notable clients include BWB, Fontinalis Technology Partners, The Japan Foundation, Microsoft, and Pfizer Europe among others. She previously served as Vice-Chair of the Franklin D. Roosevelt Presidential Library Board of Trustees. Over the past year I focused on growing the channel business with three objectives in mind: 1. Identify, research and onboard new partners; 2. Expand our work with existing partners, and 3. Leverage our network to increase our visibility within the channel ecosystem This turned out to be a really successful approach. Our company is really selective about the partners we work with, from a technology and business perspective, so when I reached out to new partners, we already knew there was the potential for a productive relationship for them, for their customers, and for us. Our work with existing partners has grown tremendously this past year, as we've been able to show them how we can do more business together. Our network was underutilized in the past, so this past year provided an opportunity for me to reach out, find common ground, and put people and projects together. This next year will be a transitional year for us. Archive360 has been engaged around the globe on some large and complex data migration projects, and we've built a level of trust with our partners as a result. Based on those trusted relationships, I'd like to do more to help our partners grow. That starts with having a conversation with their leadership teams, understanding where they want to be a year from now, and then finding ways that I can help them get there. Named to the 2017 CRN Women of the Channel Listing! And, I've been asked to lead the first virtual chapter of the International Association of Microsoft Channel Partners (IAMCP.) This was the result of working over the past year to re-ignite a state chapter of IAMCP in Connecticut, and was the brainchild of Sharan Hildebrand, VP of Capax. She is leading efforts within IAMCP to engage with our members in new and innovative ways. I recently attended a technology event in Washington D.C. One of the speakers was a woman who explained that 34.4 million Americans don't have internet access, most of them in rural communities. Without access, people are isolated: healthcare, job opportunities and other resources we take for granted are unavailable. Children without internet access are often unable to complete assignments. Her children are among that group. So she became part of a global effort to leverage a new technology, one that will provide broadband access to all Americans. I admire her determination, her resolve, and her willingness to share her story. It would probably be the same advice I've given my children: - Take every opportunity to learn - Follow your interests and be open to changing your priorities - Remember to thank people along the way; genuine gratitude is always appreciated. - Being afraid or intimidated by others isn't productive. Figure out a different way. I'm really impressed by what our dev teams can do, so true confession here: I'm interested in learning more about programming and software design. If I can better understand what our developers do every day, I can then find ways to support their efforts. I'd like to be better at translating between customers, partners, and our engineers. The Biology of the Honey Bee by Mark Winston. I built a beehive last year with some friends, and started beekeeping. Most books are about hive management or honey production. But this book explains how bees are designed, and how that design works for the individual bee as well as collectively for the colony.